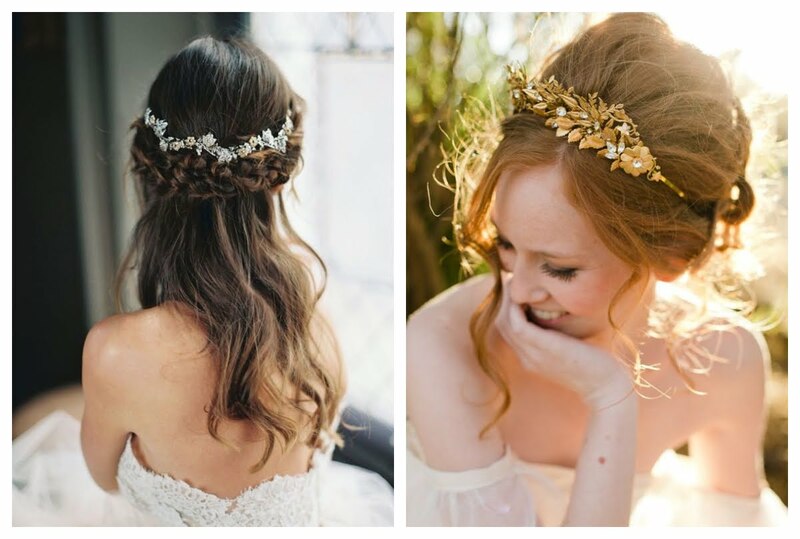 Looking for the quick ad easy ideas on wedding hairdos? – Take a look at our list! 1. 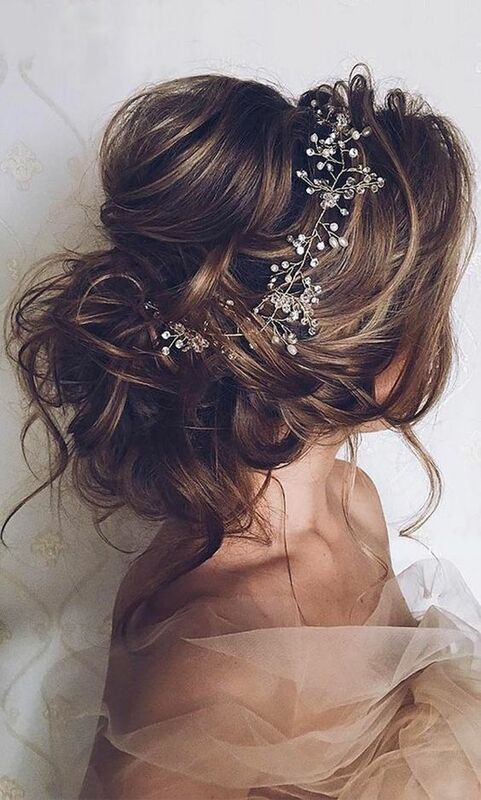 We are very into this half-up half-down bridal look. 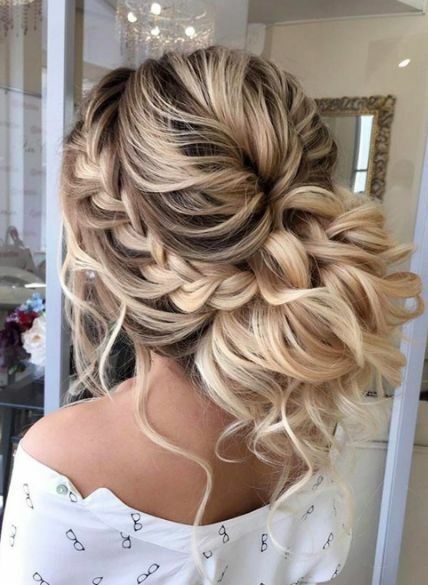 For the bride that doesn’t want to go full-on Snookie with a massive up-do held up by hairspray, this is a natural look that is still perfectly elegant with a low key braid and crown. 2. 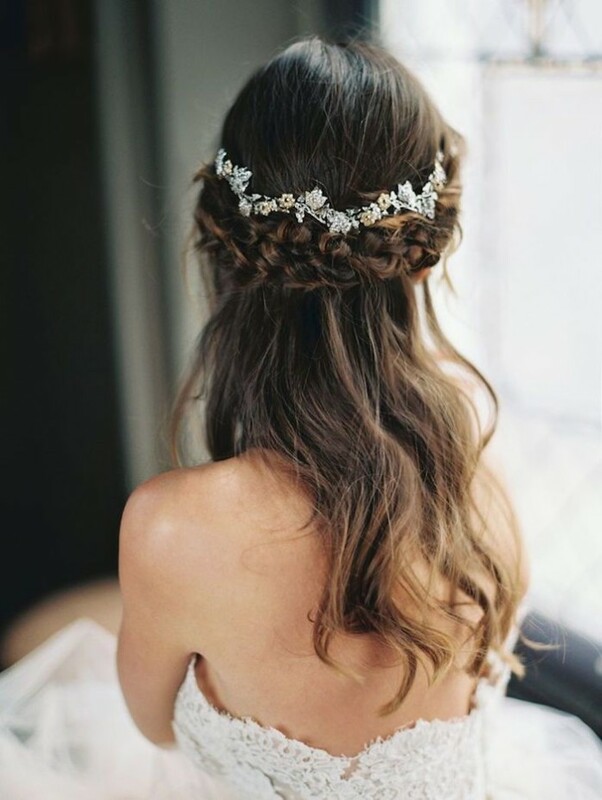 Plaits are for the more playful or edgy bride. The loose plaits give way to low-riding buns at the button with a jewel wedged in between, culminating in a gorgeous look that we’d like to spice up any fancy occasion with. 3. These romantic, perfectly smooth waves are reminiscent of the 1920’s and a glamorous looks that is influenced by past eras, but a timeless classic. Perfect on longer hair or shorter, choppier waves, with bangs swept to one side. Simply curl the hair and bobby pin it strategically to prep. 4. This messy and voluminous bun with pinned loose waves and wisps at the front is the perfect disheveled princess look for any bride. 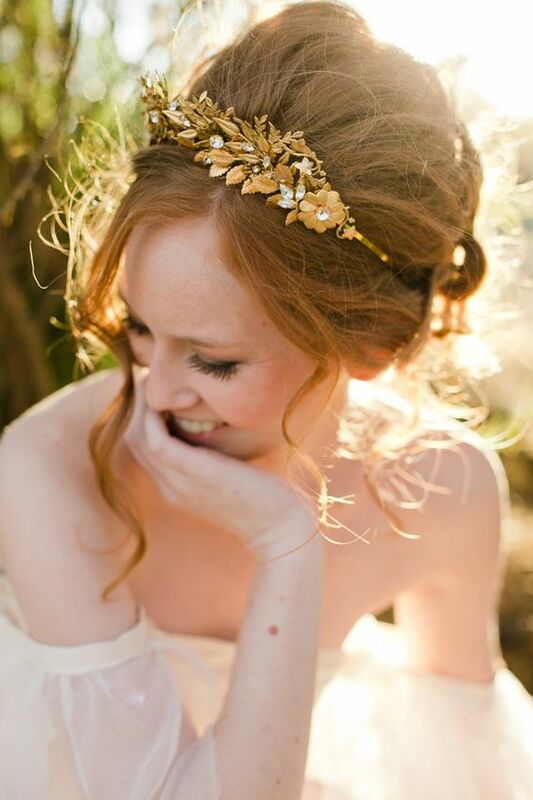 Pairs nicely with a bejewelled headband like this one with mini branches that contrasts beautifully with dark hair. 6. Wow! This is certainly a unique look we haven’t seen before. 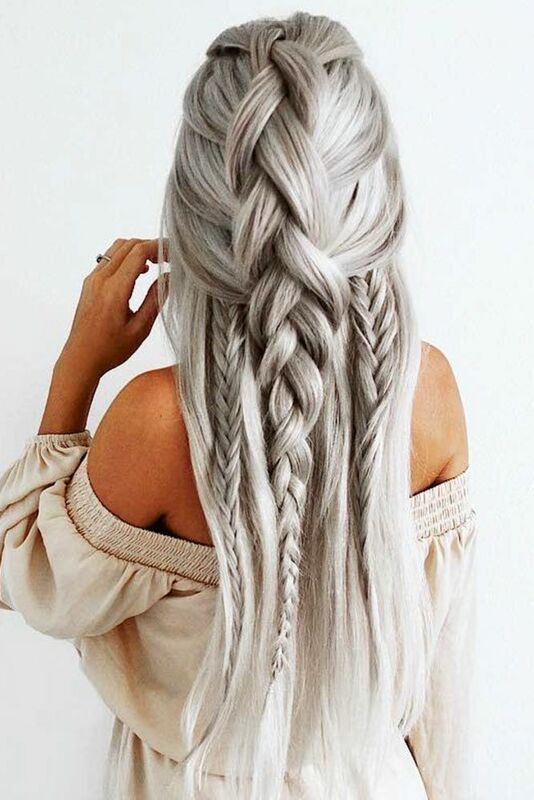 Whether you want to take the model’s bold choice of going grey, this magnificent braid creation is a perfect semi up semi down look. 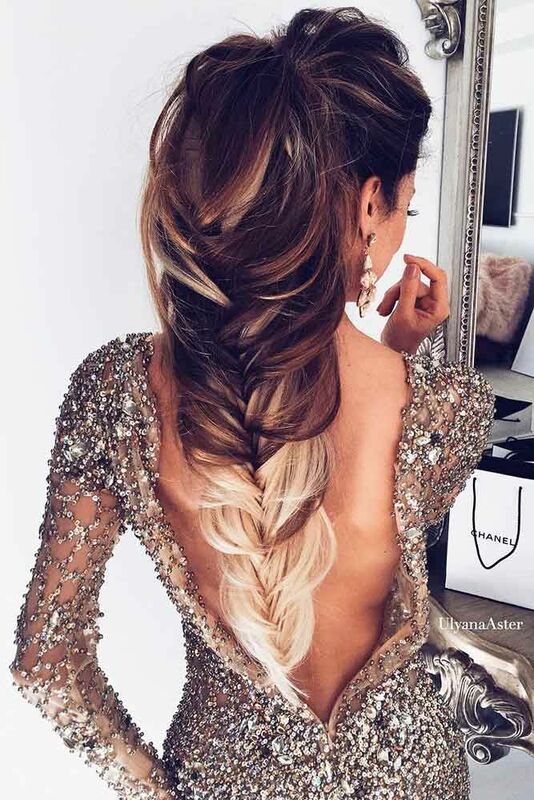 One large braid at the top going down to the bottom sweeps the hair out of the face, while two smaller accompanying side braids sandwich the centerpiece for an ethereal result. 7. 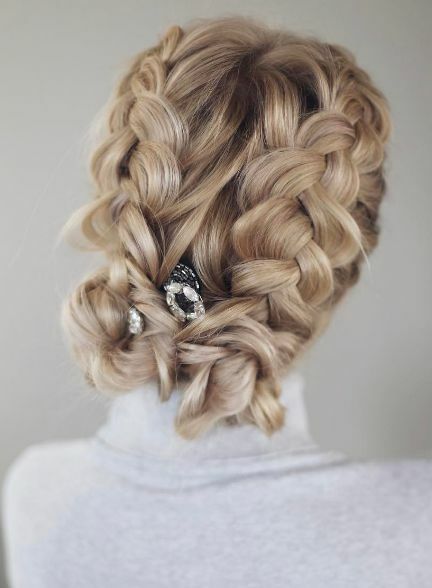 This messy up-do with a side-braid is ideal for curly babes, or you can always add in a bun extension at the back! 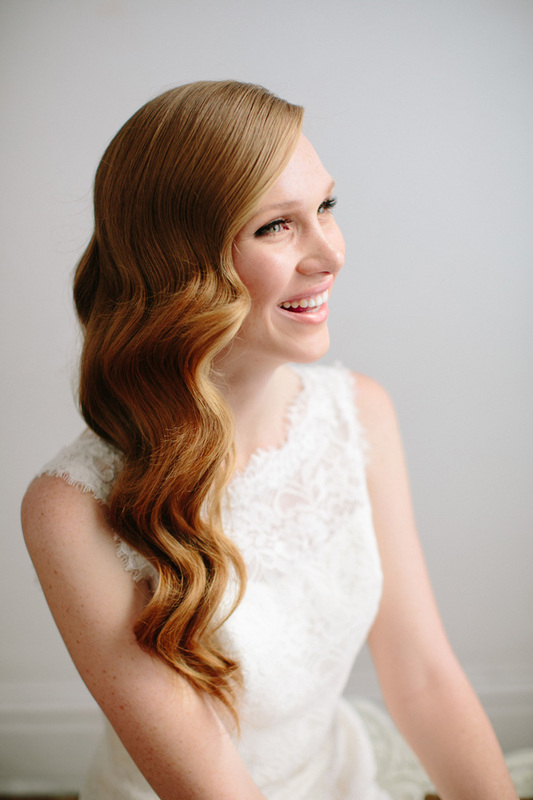 We love the loose bouquet of curled locks, with a sweeping and well integrated braid and hair hanging near the nape of the neck. 8. For those who want to keep it a little cleaner, this classic bun is the look you’ve been waiting for. 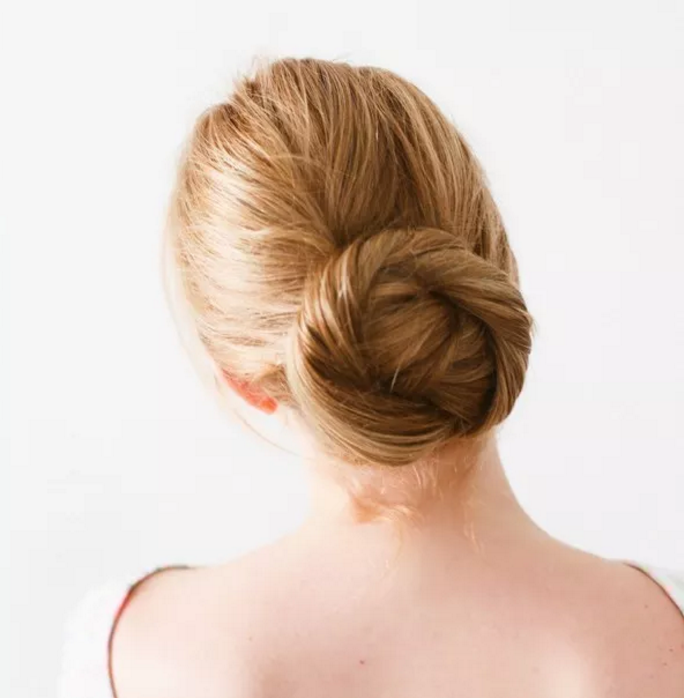 The subtle pulling action creating the lovely lines at the back is a charming twist on the bun that makes it less uptight and more worthy of a wedding dress and pearl earrings. 9. One of the more traditional looks on this list, this up-do features a bit of a bump-it (but it does add volume!). Only a couple of long, wavy tendrils are loose by the face and hair is parted to the side. A creative and classy headband will go a long way with this look. 10. Try pairing this look with a halter dress or something shoulder baring, as this babe has done. A smooth band of side-swept bangs are finished with a simple braid crown placed where a headband would be. The bun looks super messy, curly, and almost tangled, but paired with the neatly finished front, creates a striking look. We like the placement of the loose tendril by her ear, but not in front of her face.